Complete terms of sale including cancelling orders, change requests, procedures for handling damage, returns and all other standard payment related clauses may be found on our Terms of Sale page. Most importantly, however, you can cancel for a full refund or make any changes, within 36 hours of placing your order. Please review terms before purchasing. How does this work? All orders must start with a design (Click Here for Gate Designs to start). 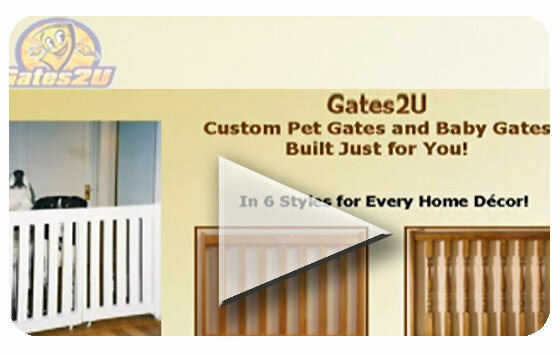 Once you're happy with the design, you can click "Buy Now" to buy the gate, the kit, or the plans. Please note that kits and plans may not be available for all models. What does my order consist of?Your order consists of your design document (created by you) showing all measurements, hardware, and finishes along with your Paypal (credit card) proof of purchase and order number. No order actually exists until you approve your design, and remit payment. Carpenters only see the design document. That is what they build to! What happens after I pay? About every 3-4 days you'll get a status from us on your gate or kit's progress. You will know when your parts are being cut, sanded, stained, assembled, or clear coated. We keep you informed. You get a UPS tracking number at shipment. Oops! I made an error in ordering!! You have 36 hours to cancel your order (with full refund) or make any little tweaks you may have forgotten to do! We'll send you a revised design document with each revision, so we're on the same page. Where's the price? All designs show pricing for the gate or kit, plus shipping and a BUY NOW or payment button. You can change your design choices and see the impact it will have on your pricing. (Gate plans are fixed price). What payment methods are accepted? We accept all major credit cards through PAYPAL online and by fax or mail. See our terms of service for more information..
What do designs look like? Design diagrams show a line-art graphic of your gate, with every measurement labeled. This includes such things as height, width, slat spacing, and the width of the opening. Your design also has explanatory text about installing and all types of things customers have asked us about for the last ten years! How do I know the gate will fit? Your design addresses things that affect your gate, such as baseboards, existing banisters on the wall, and other items that may impede the gate opening and your ability to either install or swing the gate. If you have concerns, send us a picture in reply to your design email. Ultimately, you the buyer are responsible for your gate's size. Gates are NOT RETURNABLE if they do not fit. If you need to validate the size will work, we recommend that you cut out a piece of cardboard the size of the gate and fit it into the installation area. Swing the cardboard and ensure that it is not blocked by such things as cabinets, walls, furniture, etc. What if I need to tweak my design before ordering online? We try to capture all the usual "gotchas" in our online design tool. This includes things such as baseboards and finish choices. But, if we've missed something, please visit our Contact Page and send us a photo or drop us an e-mail or call us! 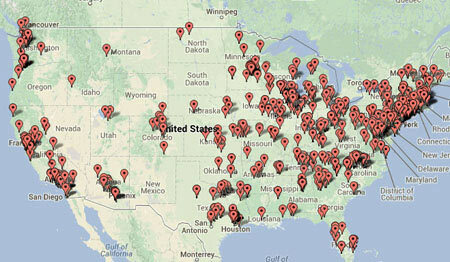 We'll try to accomodate your request, because we know that installation areas can vary widely. What is in the box? Gates and Kits include the gate (or its wood parts), all hardware, and instructions for assembly (for kits) and mounting. Gates over 36 inches on any side will have a caster included. Wall planks with long screws are included for any gate that is hingeing to a wall (drywall or panelling). Deck gates are the only gates to have NO HARDWARE in the box. You may acquire strap hinges and a gate latch at any big box hardware store for deck gates. Are mounting instructions included? Yes. We show the mounting of gates in doorframes, on posts, by stairs, and between walls. You do need to hang the gate on its hinges, so you'll need to have a drill and screwdriver handy. A movie about our latches is here. What tools do I need? When hanging an assembled gate, you will need a drill and screwdriver. For kits, you will also need a 18Guage brad nailer, electrically or pneumatically (air compressor) operated. While a kit can be assembled with a hammer instead of a brad nailer it is much harder and slower and not recommended. Can I see the finishes beforehand? For interior gates, we use MINWAX stains, so that we do not need to send out samples. Deck gates ship unfinished only. Our finishes page shows you the colors of these stains on poplar wood used for interior gates. (Note: computer monitor displays vary widely). You can also go to any big box hardware store, and view the cans of Minwax on their shelves. Minwax displays and literature have accurate color charts, and the cans also have a picture of the color them. How do stains look on poplar Great! We precondition the wood for no blotching. Our stains are ever so slightly lighter and ever so slightly less amber than the stains as shown on the Minwax cans, which show pine wood, not poplar. I really need a tight color match. What can I do? We offer a tint matching service, which is very inexpensive. Visit our finishes page to learn more. You can also specify a paint color at time of order. What safety features are included? Our gates have numerous safety features. 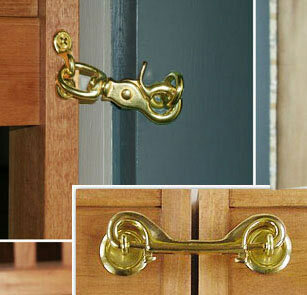 Our hinges are solid door hinges, rated at 75 lb support. Our newer trigger snap latches are child-resistant, requiring a thumb clasp to open and close the latch. You can even add a second latch, yourself, on the back side of the gate, shielded from young eyes! Get gate slat spacings as close as 2"! It is also widely known that a permanently mounted gate like ours is more secure than a compression or pressure mounted gate. When installing, hinge the gate securely to a stable surface such as wall plank (we provide), doorframe, or newel post. Wall planks MUST be firmly anchored with screws into a stud behind your drywall or panelling; a stud must be present. Gates are standard architectural products and are not rated by any third party testing service. What about stairs? We recommend door stops be used near stairs so it is literally impossible to swing your gate out over any stairs, particularly if you anticipate anyone will fall against or hurl themselves against the gate. When installing at the top of stairs, face the hinge pins towards the upper landing, so you can NOT pull the gate towards you when rising up the stairs. Never swing a gate over the stairs! When do you ship? Interior gates and kits are guaranteed to ship 2 weeks after you have approved your order and remitted a form of payment. For deck gates, it is 10 days. Unfinished gates and kits, however, generally ship within 9-10 days. How do you ship? We ship UPS GROUND. We have pre-approved our packaging methods with UPS. So, our gates are designed to be tossed about and not suffer damage in transit.